Networking is a very important aspect of any information system. This underscores the need to have more skilled professionals to handle networking related technical tasks. This brings us to the CompTIA N10-007 exam, which is designed to make you a networking expert. What exactly does this test entail? This is an exam that checks your skills in designing and implementing functional networks. It validates one’sabilities in configuring, administering and troubleshooting these networks. Once you passit, you’ll qualify for the CompTIA Network+ certification. This article takes you through the details of this networking test, its objectives and tips to help you prepare for the exam. You’ll also learn about preparation resources that are great for passing your CompTIA N10-007 certification test. Let’s check them out right away. You get certified by a neutral vendor. You receive a globally recognized and accepted credential. It means advancing of your networking skills. It validates your ability to carry out tasks with dedication and efficiency. You get an opportunity to advance your skills beyond networking. You attain both your professional and career goals. The certification means access to better job opportunities, high starting salaries and promotions. You can work as a network administrator, a systems administrator, an IT specialist andan IT director. You require to dedicate your time and resources in order to pass this certification test. Use these tips below to help you prepare and pass this important networking exam. This is the first thing you should do before you start your exam revision. This guides you on what topics and skill areas must be covered. Register and book your exam early enough. This makes it possible for you to know how much time you still have before you sit for your test. This way, it’s possible to fit your study within the available time. A study plan helps you avoid focusing on other unimportant things. Make sure you have factored in all your other necessary commitments so that none of them suffers from neglect. However, a study plan works only if you stick to it. Remove anything that you won’t use while you are studying for your exam. Besides, organize your table by getting rid of any kind of clutter. A table or a place that’s disorganized is not that inspiring. This will help you concentrate on your studies. Avoid places where you are most likely to be disturbed or with a lot of movement from others. Find a qualified course instructor to guide you. These instructors are experienced in the exam and are in a better position to help you with the best materials to pass your test. Books and simulation tests are some of the most efficient ways to prepare for your CompTIA N10-007 exam. Find the relevant books online and use them alongside your course. Practice tests will give you a feel of what the actual exam is like. Use them as many times as you can. Practical labs are good for gaining a hands-on experience. Practicing as you learn is the best way to understand the exam topics and concepts. This kind of experience will also come in when it’s that time to offer a solution to a real world challenge. Whether you are a beginner in networking or you are seeking to refresh your skills, the CompTIA N10-007 Exam Dumps VCE exam is the right fit for you. Once you’ve scheduled your test, use the tips that we’ve shared with you to help you prepare and pass this certification exam. 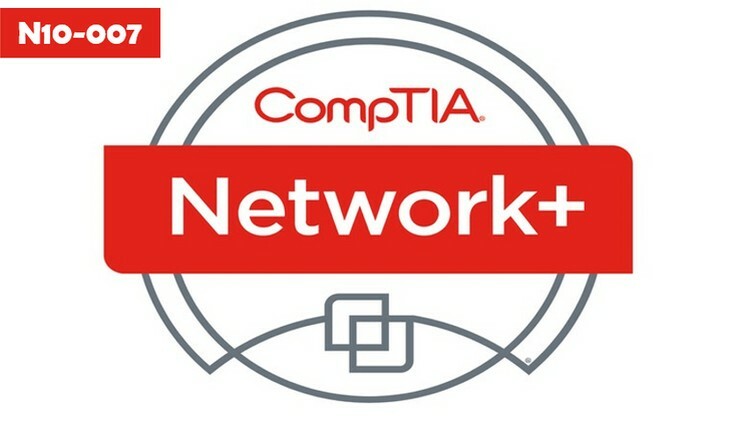 Attaining the CompTIA Network+ certificate is a great way to demonstrate your skills.